Facility Management book from C.H.I.P.S. 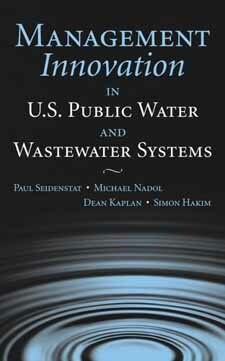 Management Innovation in U.S. Public Water and Wastewater Systems is a unique guidebook of cutting-edge managerial and operational best practices currently used at a number of different municipal water and wastewater utilities. Management Innovation in U.S. Public Water and Wastewater Systems will quickly become the resource that managers, CEOs, and directors of water and wastewater utility companies always have at their fingertips. Accreditation and Quality Improvement: What�s the Financial Bottom Line?